Even if not everyone is fond of his ubiquitous YouTube videos, it can’t be denied that PewDiePie is one of the world’s most recognizable celebrities, with his YouTube channel having more subscribers than you can shake a stick at. Of course, PewDiePie’s influence cannot be denied, and back in 2014 we saw an example of this when he was blamed in the Shadow of Mordor scandal involving a series of promotional videos that Warner Bros. had commissioned from famous YouTubers, with PewDiePie being singled out no doubt due to the fact that he was the most high-profile of the lot by far. Actually the FCC (Federal Communications Commission) in the US said that PewDiePie, whose real name is Felix Kjellberg and hails from Sweden, was “wildly popular” in a report. But Kjellberg’s involvement in the Shadow of Mordor scandal seems like a small thing compared to deleting his YouTube channel, which certainly is one of the hottest properties in entertainment right now. 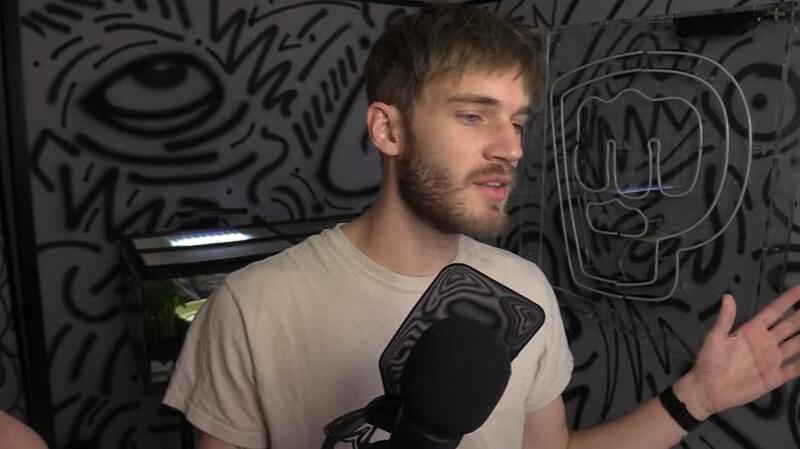 The reasons Kjellberg gave were his irritation at certain YouTube policies which are reducing the visibility of his videos, while bringing other less popular channels to the limelight. “Channels I haven’t touched in f*ck*ng years I’m still subscribed to” said Kjellberg in a video. In the end though, PewDiePie’s threat of deleting his channel turned out to be more a publicity stunt than anything else, as he did not actually delete his main channel but a secondary one named “Jack Septiceye 2” with far fewer subscribers and views. So this turned out to be a case of too much ado about nothing then, and let’s not forget that PewDiePie is still the highest earning and most popular YouTuber on the planet right not, and hopefully he will keep delighting his audiences with his comedy videos on YouTube for a long time to come yet.